Spring is here and your next home is ready! 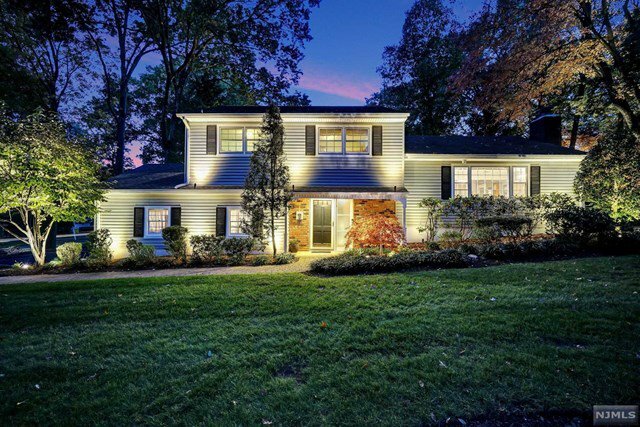 Located in a lovely Wyckoff neighborhood with many spacious homes and properties, this 3 bedroom 2 1/2 bath home has the best of everything. The large Living Room has a woodburning fireplace for cool evenings and is open to the Formal Dining Room which overlooks the rear property. The updated kitchen is all decked out with granite, cherry cabinets and Ceramic tiled floor. A ground level Family room opens to the rear yard. There are 3 generous bedrooms on the upper level with a master bath and a fabulous updated main bath as well. Entertain friends and family on the beautiful and spacious private deck and patio. The property is professionally landscaped with many plantings and custom landscape lighting to provide ambiance. Some special features include a whole house generator, maintenance free exterior and trex decking and much more. This home has been meticulously maintained and updated by the current owners!